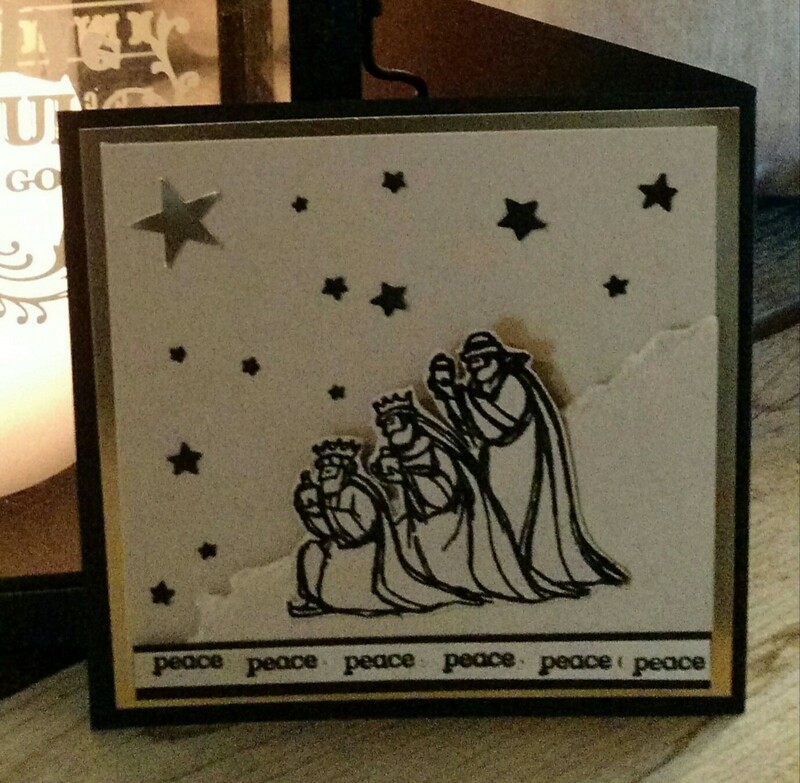 The “peace” on the little road of peace was made by masking off the single word from the longer sentiment in the “All Ye Faithful” stamp set. 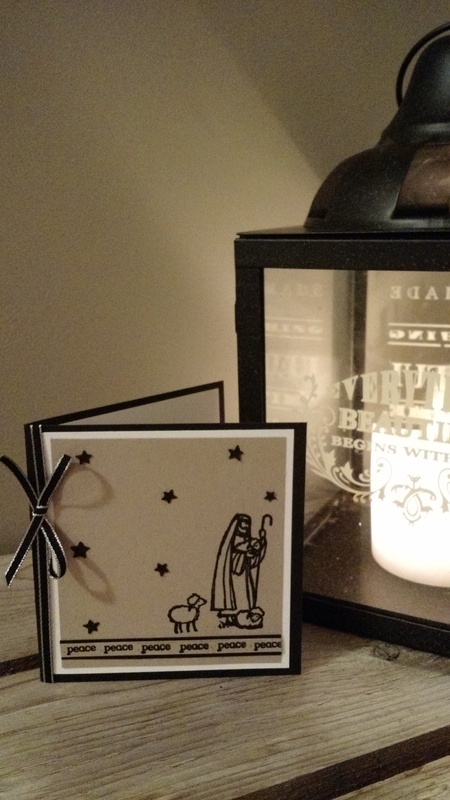 This card is being made as a little mini crèche to display during Advent, Christmas and Epiphany. 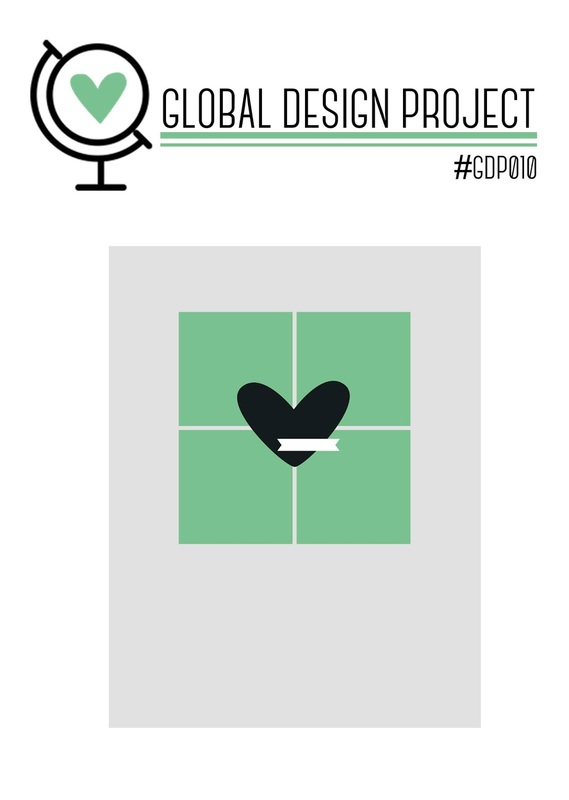 Hope you can play along this week over at http://www.global-design-project.com Stamping Peace, Dawn. This was a card that we made at stamping classes last week and was our first attempt at “dry embossing.” The technique, which can be found on YouTube, uses a handmade template made with three thicknesses of the cardboard that is in the back of a package of Designer Series Paper (DSP) and leaves a blank space in whatever embossing folder we are using. (Just cut out the design you want left blank with an exacto knife…in this case it was a rectangle to accomodate the Woodgrain embossing folder, but it can be a circle, it can be the outline of a tree, an acorn…anything we want! 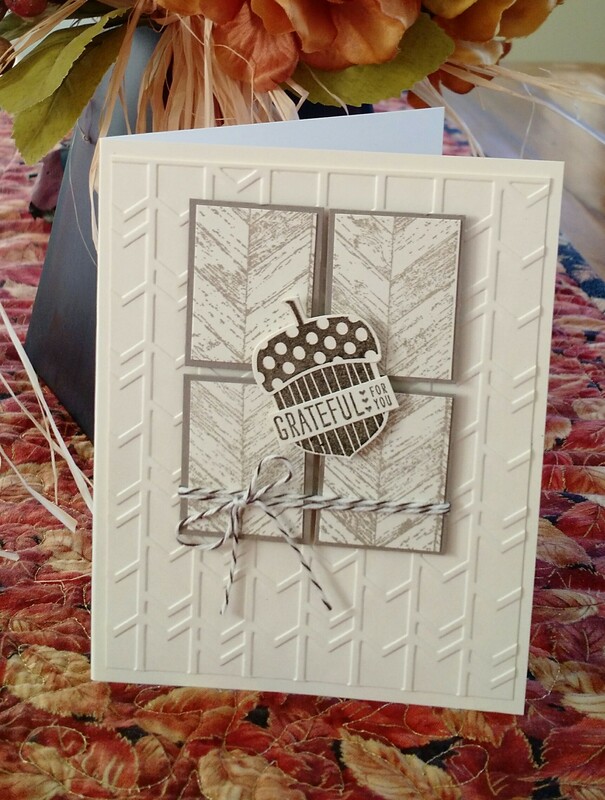 On this card it left a space for the beautiful “Thankful” stamp from the new “Six Sayings” hostess stamp set. 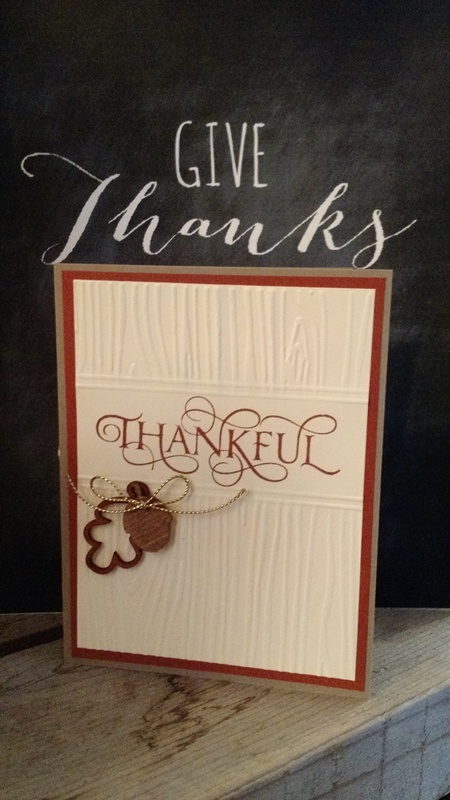 I added some of last year’s wooden embellishments inked with Cajun Craze and Tip Top Taupe and some gold cord to complete a card to express how thankful I am to you, my Stampin’ Up! friends, for sharing your artistry and your friendship. Happy Thanksgiving! Good Morning! 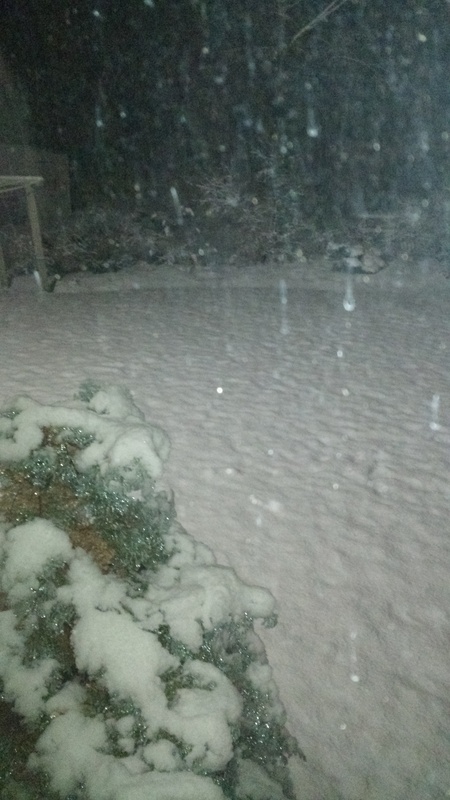 This was our backyard at 5:00 this morning. 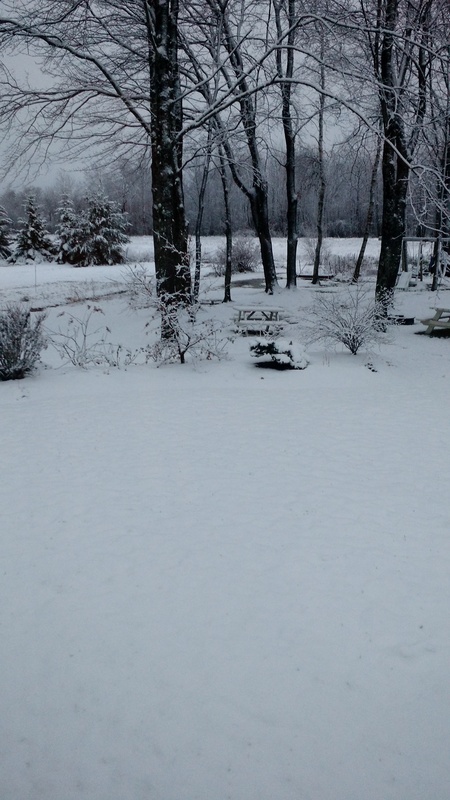 We heard the city plow go by before that and everyone flew out of bed to see how much snow we had…the first snow is always so exciting! It is like a blanket of peace falling from the sky. This tag has an aura of peace as well. 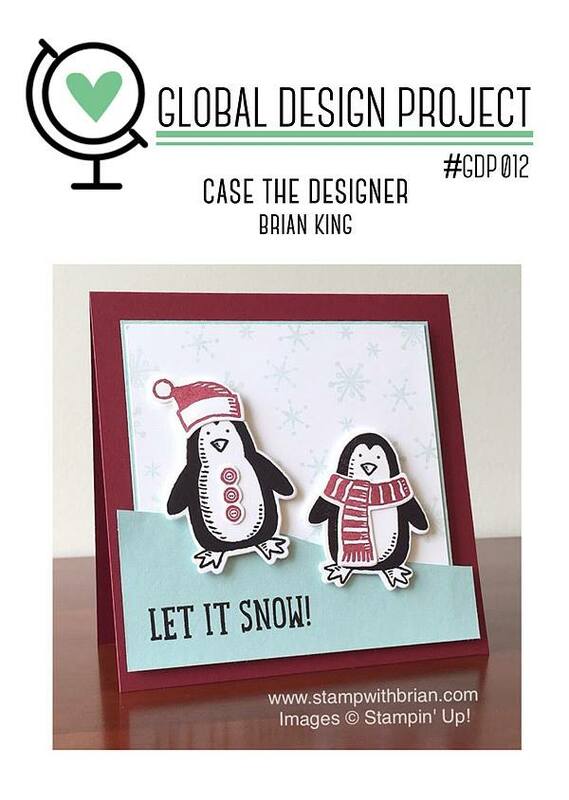 It was inspired by a card that Shawn over at Shawnstamps made for the Global Design Project last week, and is a prototype that I made this weekend for tags for our “Giving Tree” at church. The Giving Tree is put up during Advent (the four weeks before Christmas) and parishioners take a tag, bring it home and purchase a gift suggestion that is written on the back of the tag. We then bring the gift back to church, with the tag attached to the front of the gift, and then the gifts are distributed to different organizations in our area. 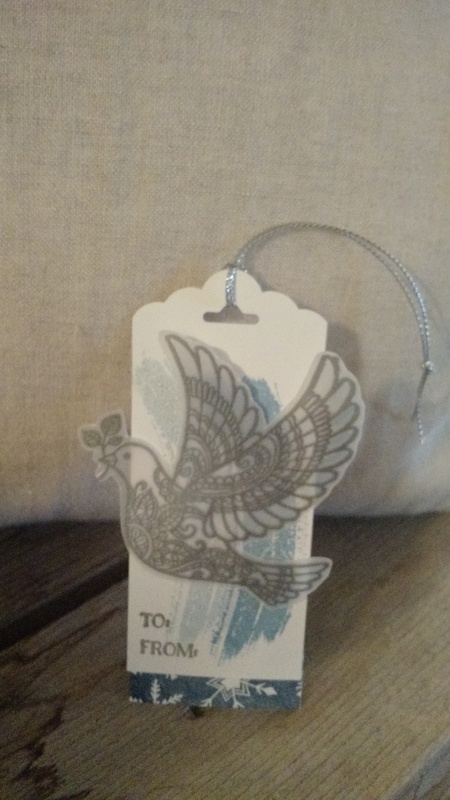 The tag is made with the Dover of Peace Stamp Set, heat embossed with silver on vellum. 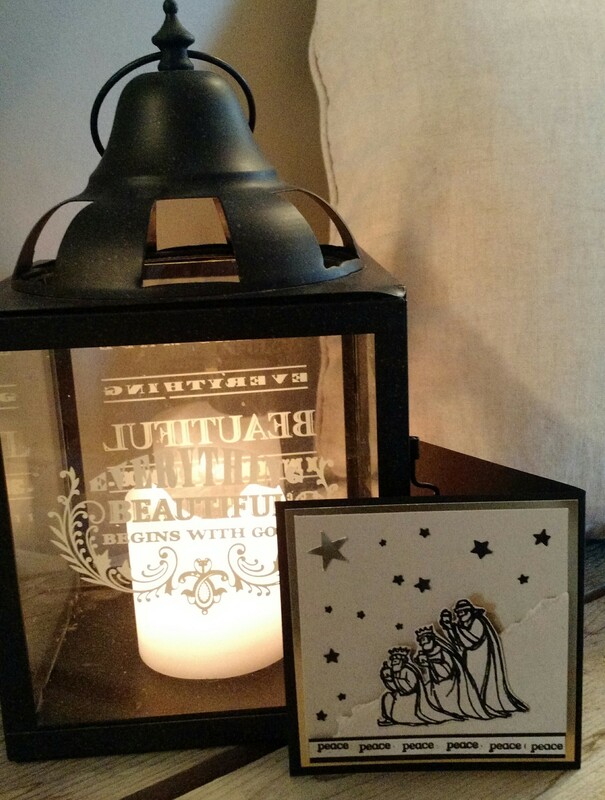 The background is stamped with Marina Mist Ink with a stamp from the Work of Art set. The little sliver of DSP (Designer Series Paper) on the bottom is from the Season of Cheer paper. The “To/From” stamp is from the Cozy Christmas stamp set. One of our Thanksgiving traditions is to watch the documentary film “Desperate Crossing”. This quote comes from the final words in the film…”the Indians taught the Pilgrims that the great work of living is living with others. That is the true importance of the Pilgrim story.” The narrator then goes on to tell what happened to each character and he says that William Bradford, governor of Plymouth colony, and Massasoit, Leader of the Wampanoag Indians when the Pilgrims arrived, kept peace between them for the rest of their lives. What came after is another story, but we had a good beginning. Interesting stuff! These are my Thanksgiving cards for my “sideline” (formerly known as “downline”, but I never cared for that term!) Yesterday I read the term “sideline” on Debbie Henderson’s blog, and I’ve adopted it. Thanks Debbie! 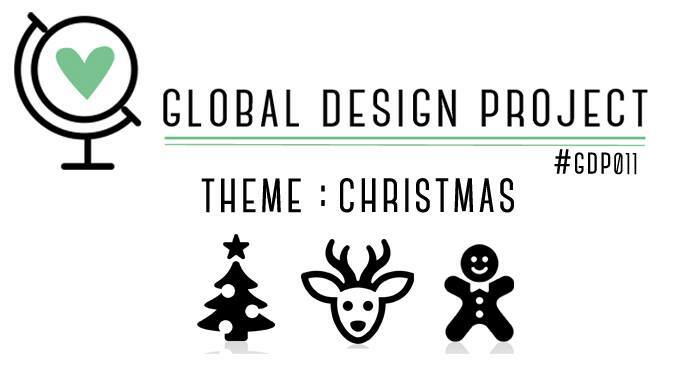 The challenge this week over at http://www.global-design-project.com is a theme challenge and the theme is “Christmas”. Edit: I realized that I should have titled my Christmas Card “A Way of Peace” instead of “The Way to Peace”. As a priest once told us in his homily (sermon)…”the spiritual life is like a big wagon wheel…God at it’s center and each spoke representing a path to God. There are many paths but one God.” My path has been through the Catholic tradition, but I hope we can keep trying to educate one another about our different paths! 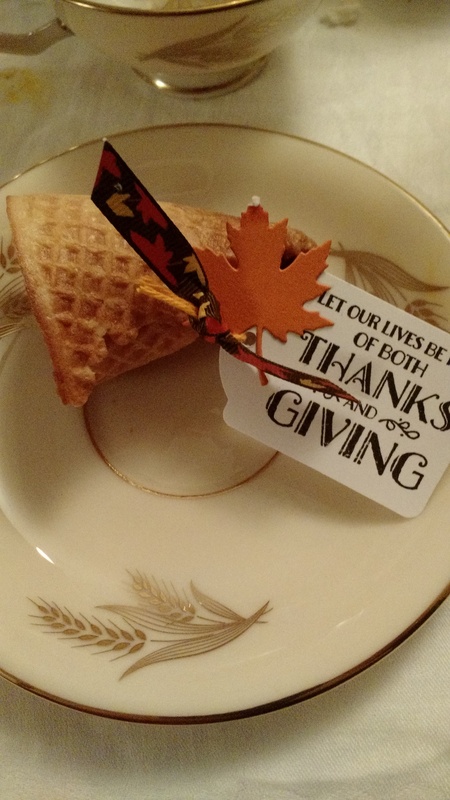 My friend Mimi made these cute sugar cone cornucopia’s for an event that we attended this weekend. 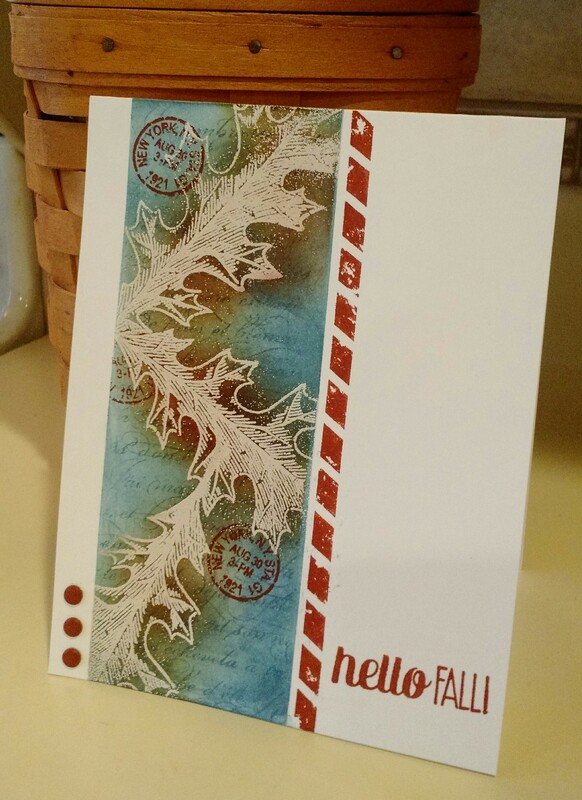 The end is curled behind the tag made with a stamp from the Lighthearted Leaves set so that it really does look like a mini cornucopia. So cute! They were filled with fruit. Hope you had a nice weekend!